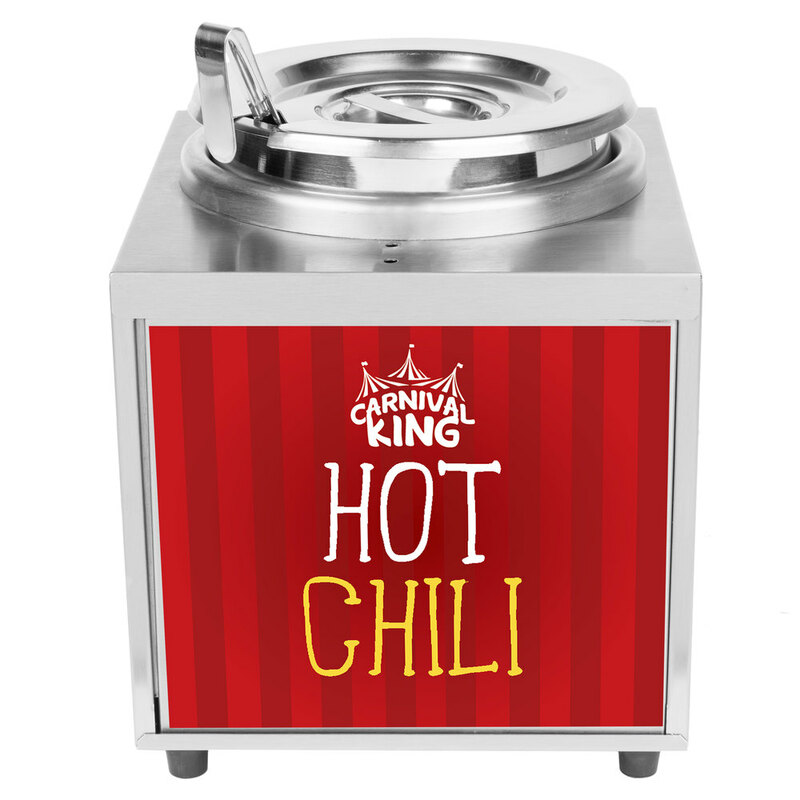 An excellent addition to concession stands, buffet lines, and other foodservice operations, this Carnival King RWLL35 3.5 qt. warmer provides you with a simple way to heat and serve nacho cheese, hot fudge, chili, buttery popcorn topping, and even soup and gravy! It accepts #10 cans and 3.5 qt. inset pots for invaluable versatility, allowing you to drop your canned items directly into the warmer or, if your food comes bagged or in an otherwise different packaging, fill the included insert. The ladle makes serving your delicious product a breeze while the notched lid keeps the contents piping hit and gives the ladle a convenient resting place.